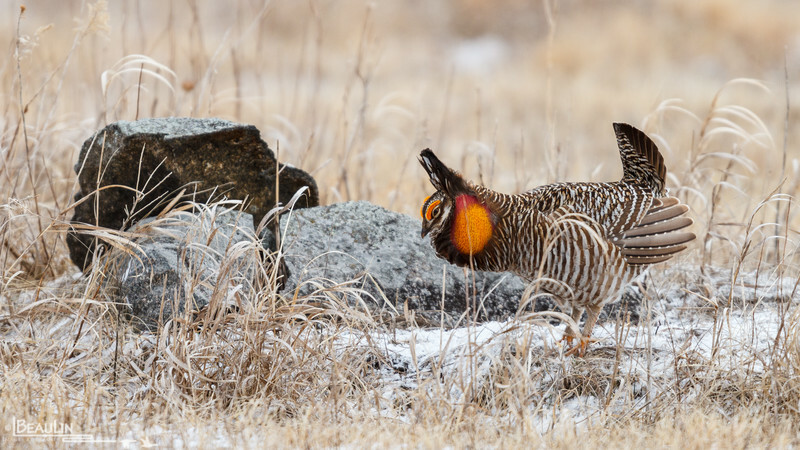 Male greater prairie chickens on a booming ground during one of the first snow-free days of 2013. Males "boom" on individual small territories through much of May. Dependent on large tracts of grassland, this species is vulnerable to loss and degradation of habitat, especially in recent years as agricultural landuse intensifies.